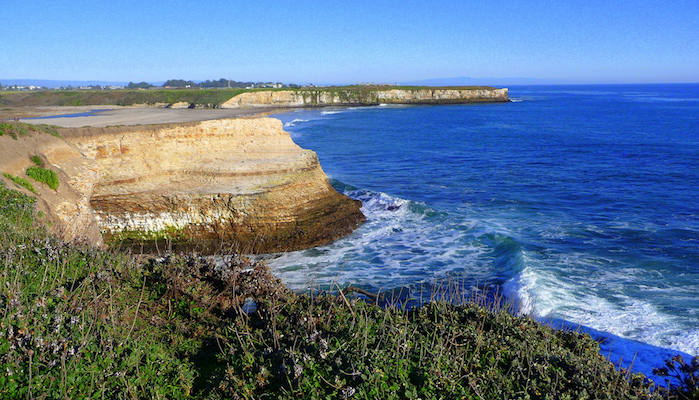 Often overshadowed by larger coastal cities, Santa Cruz is one of the don’t miss running destinations in California. It’s 30 miles southwest of San Jose and 40 miles north of the Monterey/Carmel area. 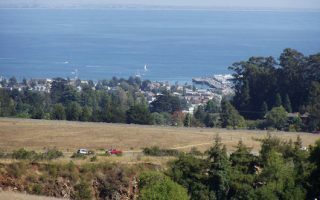 While the downtown boardwalk area is remarkably festive (think ferris wheels and funnel cakes), local runners agree the best places to run in Santa Cruz are the bike path along West Cliff Drive and the seaside trails of the Wilder Ranch State Park. 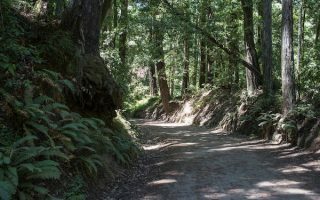 We also love the Santa Cruz Riverwalk, the fantastic and varied paths on the campus of UC Santa Cruz, great beach running on Seacliff State Beach, and the fire road and trails through a redwood forest in The Forest of Nisene Marks State Park. Wonderful coastal running along a multi-use path that runs from Municipal Wharf to Natural Bridges State Park. It's 2.8 miles one-way. Great views, with Seal Rock/Lighthouse Point being one of the scenic highlights. Several miles of wonderful dirt trails in this park sitting above the water. 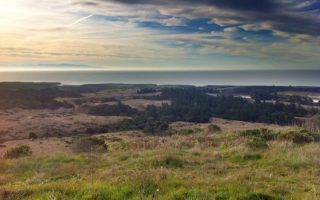 The classic route is the 2.5 mile loop along the beach bluffs on the Old Cove Landing and Ohlone Bluff Trails. Other trails lead back into wooded terraces. 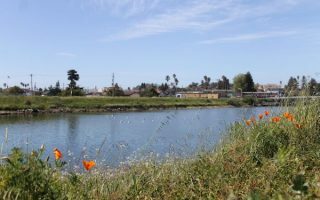 A pleasant off-road running option along the San Lorenzo River, easily accessible from downtown. It's a great 4-mile loop, using paths on both sides of the river. One of the most spectacular college campuses in the world for running, with miles of pedestrian and bike trails through open meadows, forested hills, and landscaped gardens. A network of pedestrian footbridges provide good connections. Classic California beach running in this spot 8 miles south of Santa Cruz. There are ~2 miles of beachside path, some 12 miles of continuous beach with great firm sand, and 150 stairs opposite the pier if you want to get the heart rate up. Some 10,000 acres of second-growth redwood forest and 30 miles of trails that stretch from sea level up to 2,600 ft elevation. Best for running is the Aptos Creek Fire Rd. The first 4 miles of this 10.7 mile road are flat, then the hills begin! 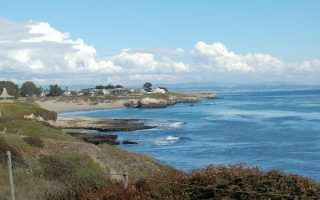 Santa Cruz has that lovely coastal California climate of year-round mild temperatures. Average highs range from the mid-60s (16-18C) in winter to the mid-70s (23-26C) in summer. Nights are cool all year, from the low-40s (5C) in winter to the mid-50s (14C) in summer. 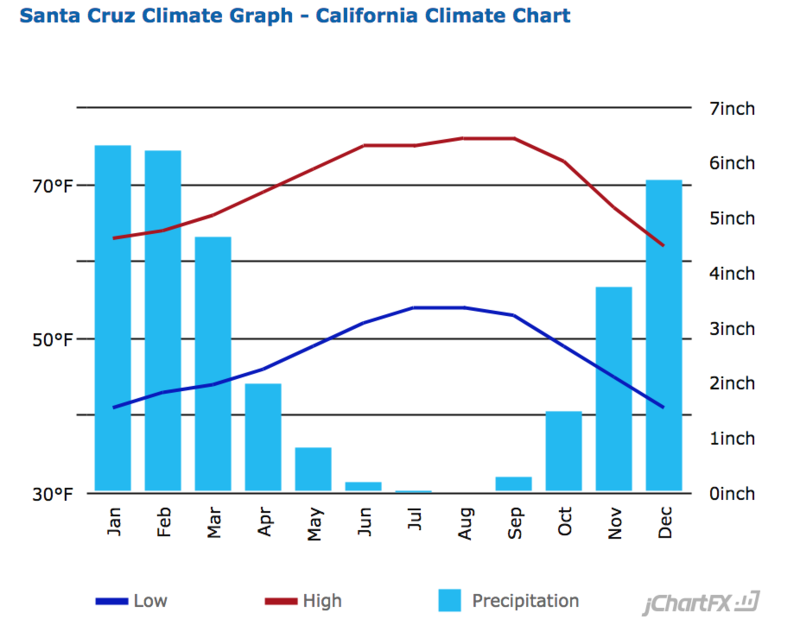 Most of Santa Cruz’s 31 inches of annual precipitation falls from November-April. Summers are dry. Note: there can be coastal gog at any time of year, and it can creep in at any time. Often, just a few miles inland, it’s sunny. Always good to bring an extra layer. 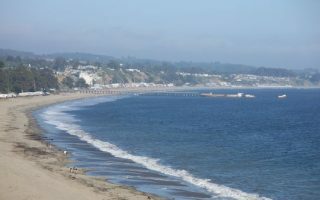 Santa Cruz is a fairly popular visitor destination and there’s a good selection of hotels. There’s a good cluster of hotels west of Rt. 1 toward the coast. Try to stay near the river (Riverwalk run) or close to the pier/coast for easy access to great running. Fleet Feet Santa Cruz. Located in Aptos, is a great indy running store. Group Runs Saturdays 8am. Santa Cruz Running Company. Another great indy local running store. Santa Cruz has an active running community and there are great running events throughout the year. See the Fleet Feet site for some upcoming events.